Dear Teachers, This year's tour season will be exciting and extremely busy for our visiting students. They will experience the beauty and history of our museum grounds which include living-history demonstrations. 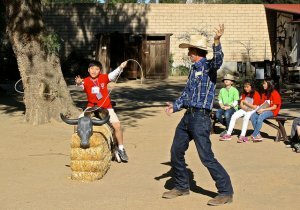 The Leonis Adobe Museum (opened in 1966) is a prime example of early Southern California ranch life. The original adobe house was built between 1844 and 1846. It served as the primary residence of Miguel Leonis (of Basque descent) and his wife Espiritu (a Chumash Indian). Miguel acquired other holdings of land and had a considerable amount of livestock. He controlled much of the west end of the San Fernando Valley in the late 1800's. with a water tank on top, a barn with buggies and live draft horses, a blacksmith shop, a working windmill, a bath house, a laundry area, a horno oven, and an 1870's Victorian house with a gift shop. 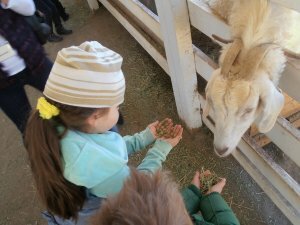 One of our visitors' favorite attractions is our livestock corral...with Texas Longhorn cattle, sheep, goats, and large Percheron draft horses. We also have turkeys, fantailed pigeons, roosters, and Guinea fowl! 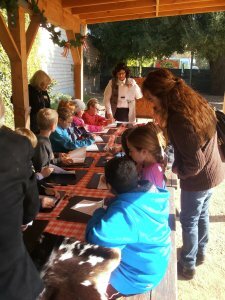 We schedule field trips for your students with appropriate activities for each grade level. 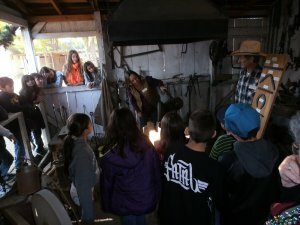 Some of the "living history" demonstrations and activities that take place are corn grinding, tortilla-making, butter churning, a lesson about branding in the 1800's and the role of the blacksmith, roping with a lasso and feeding the livestock. Our museum store reflects the Old West, Victorian era, and Chumash Indian culture. We have a wonderful selection of books for adults and children, as well as toys, games, and unique gift items. We offer a teacher's discount. 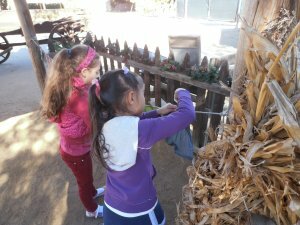 The Leonis Adobe Museum offers a thorough history of life in early southern California, which we highly recommend to all school and organizations. We have parking available for school buses and vehicles.